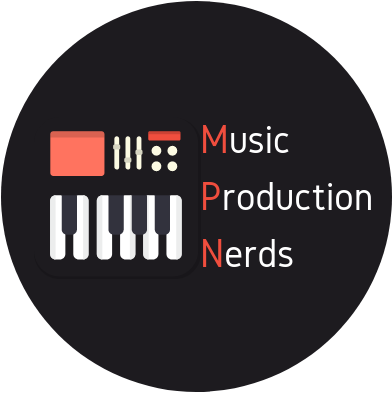 MusicProductionNerds.com was created as a place to help producers, musicians, and sound engineers in finding the right software, equipment, and accessories for all things music production and home studio, as well as provide educational “how to” and “what is” posts to solve common and perhaps not so common music production issues. The posts are primarily intended for beginners and “advanced beginners,” as well as intermediate and some advanced users where applicable. We are professional and semi professional musicians, producers, and music educators. We know that it is difficult to sort through the deluge of software, equipment and gear that make up the music production industry in the modern digital world. Hence, our duty here is to help you make sense of it all, and to have fun while you’re at it! Music Production Nerds is supported by a small percentage of money earned from some of the sales on many of the products recommended to you on this site. That means that if you make a purchase from a gear, software, course, or service recommended here, instead of you paying more, a little less money will be paid to the seller so that a small portion of it can be used to help provide this information to you. If you didn’t find a music production product you wanted out of the ones promoted, and you still want to support this website, feel free to purchase from Amazon using this link, which will take you to Amazon’s own selection of top rated music production and home studio recording equipment. Trying to get in touch? Go to the Contact Page.